Wild Crypto A New Token For Online Casino? Since the creation in 2009 of Bitcoin, the world’s first cryptocurrency, others, such as Lite and Ethereum have been quietly added. 2017 saw the launch of the latest, Wild Crypto, but this time, there is a significant difference. Where other cryptocurrencies are frequently used in any participating online casino, Wild has its own. As an industry, e-gambling is incredibly large and successful, offering players a massive array of entertaining games that are accessible day and night. They also include mobile versions with bonuses that are transferrable between devices, ensuring that players don’t ever miss out on the chance to play for a huge chunk of guaranteed prize money. The majority of e-gambling outlets have been well established for longer than any of the virtual currencies have existed, building along the way large and loyal fan bases. Doesn’t the new Wild casino face an uphill struggle? In terms of e-gambling, Wild is not just another casino that is available online. Using highly sophisticated blockchain technology, it is the first ever gaming platform to provide players with a range of familiar casino style games and lotteries, in exchange for its own exclusive currency tokens. Safe and secure, Wild promises to deliver some of the largest guaranteed pay-outs similar to its first lottery game, which had a prize of one million Wild tokens. But is a large jackpot in an unfamiliar currency enough to tempt regular visitors away from their usual haunts? The traditional e-casino is still rooted in the world of real money where players plunder their own terrestrial bank accounts to make deposits. Although online transactions are relatively quick and easy, when it comes to transferring money there is a delay of around three days before it actually arrives. Virtual currencies are at their destinations in a fraction of a second. There are no fees or charges and without regulations they offer complete anonymity, a useful feature when hiding from the tax office a small fortune won at an online roulette wheel. However, crypto coinage is relatively unstable and can reduce winnings by suddenly decreasing in value. In this case, patience is required until it has retrieved its worth. How successful will the new Wild currency be? The new Wild tokens appear to link their fortunes with Ether, the coinage of the e-currency Ethereum. Wild depended on raising more than ten thousand Ether tokens, worth approximately nine million dollars, to finance its launch and will sell tokens to potential visitors to its new e-casino for one-hundredth of an Ether. There are already several e-casino outlets that will accept crypto coinage. However, the majority restrict transactions to Bitcoin, which represents 80% of the e-currency market. Some virtual casinos will accept Lite coin, Dash or Dogecoin. In a similar way to Wild, EC20 tokens also originated from Ethereum, with some being specifically created for use on designated e-gambling sites, perhaps providing the inspiration for the Wild format. Although Wild has the backing of Twelve40, regulated specialists in the field of online lotteries, access to its website is banned in several major countries. These include the United Kingdom, the United States of America, The Netherlands, The Dutch Antilles, France and curiously, Curacao, where the Wild brand is licenced. 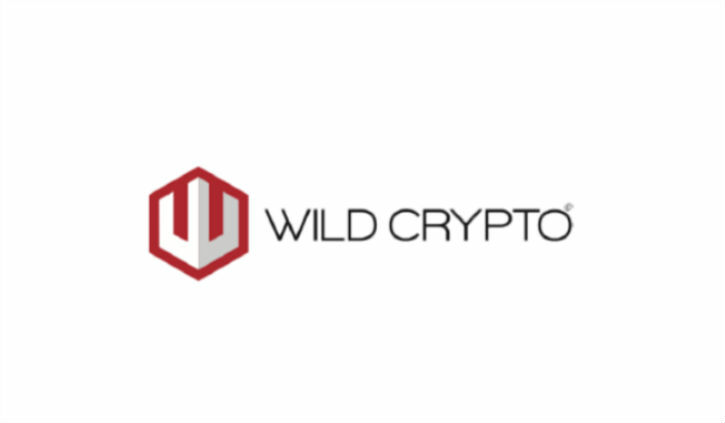 However, Wild Crypto have serious support from Twelve40 and invested in the advanced technology of blockchain in presenting their range of games and lotteries in their own exclusive online casino. Only time will tell how their currency will fare. As an e-gaming facility it offers all the versatility and convenience of a cryptocurrency combined with the fun and enjoyment of playing casino style games. It will appeal to those who want instant play, but will it ever be strong enough to challenge the wealth and might of the established e-casinos?